Does hearing something different every time there is a headline about the use of Botox injections for migraine disease have you thoroughly confused? You’re not alone if you feel like there is contradictory information available about whether Botox is a good option for patients living with a chronic migraine. Not to mention the reality that some of the headlines can be very misleading. Let me set the record straight about what the research says and what experts recommend. 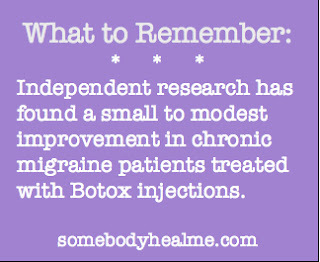 Back in 2008 Botox injections (botulinum toxin A) were being used off-label for prevention in people with chronic migraine disease. Allergan, the manufacturer of Botox, was working hard to get Botox FDA approved for use in people with chronic migraines. Research funded by Allergan to establish the efficacy of the treatment showed a greater reduction in days of a headache in patients treated with Botox than placebo. This was after Allergan changed the way it measured the drug’s effectiveness by looking at days of a headache rather than a number of migraine attacks in patients. 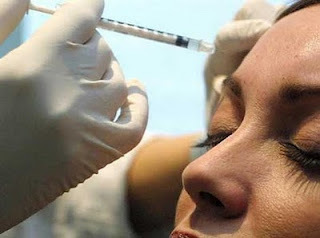 Meanwhile, in 2008 the American Academy of Neurology (AAN) released guidelines that did not recommend Botox as a treatment for people with chronic migraines. The researchers who developed the guidelines reviewed all research available at that time and concluded Botox was no more effective than placebo in relieving migraines or chronic tension-type headaches and said it was not recommended for those purposes. Despite the conflicting research, in October 2010, the FDA approved Botox injections for prevention of migraines in patients with chronic migraine disease. Coincidentally, this was just a month or so after Allergan had agreed to pay a $600 million dollar fine for illegally marketing Botox for unapproved uses like migraines for many years. A study published this month in the Journal of the American Medical Association (JAMA) reviewed 31 trials that evaluated the effectiveness of Botox in reducing migraine attacks. Studies comparing Botox to placebo showed a slight reduction in migraine frequency among patients treated with Botox injections. On average patients experienced about two fewer migraine attacks a month. While it’s probably true that researchers, practitioners, and patients all hoped for a more profound improvement in patients treated with Botox injections, two fewer migraine attacks a month gives patients more time with their families and friends and less missed days of work. It’s nothing to turn our noses up at. Furthermore, it may be possible to give patients who respond to Botox even greater relief by combining Botox with other medications and therapies, such as Valproic Acid, Topamirate, Propanolol or acupuncture. The AAN and American Headache Society (AHS) recently released updated joint guidelines on treatments for people with migraine disease. 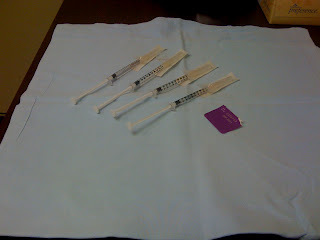 However, they declined to address Botox in those guidelines, referring back to the 2008 guidelines on Botox for now. They said they are currently working on updating the 2008 Botox guidelines. Any questions about Botox or the research? Please ask in the comments.